A woman was arrested on three counts of weapons misconduct and possession of marijuana during a traffic stop on Jan. 31. There was an unnamed passenger in the car with Morris. 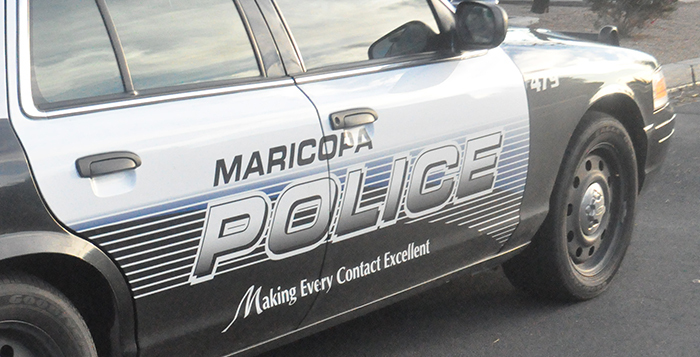 Both occupants of the vehicle told officers they did not possess a medical marijuana card and officers removed them from the vehicle, according to the report. A search was conducted, including by a K9 officer, and a leather backpack was located. The backpack contained 8.7 grams of marijuana and a Jimenez 9mm handgun with the serial numbers defaced, according to the probable cause statement. Morris told officers she stole the backpack from another woman she called Jessica. Morris was arrested and charged with possession of a concealed weapon while under 21, possession of a defaced deadly weapon, possession of a deadly weapon during the commission of a felony and possession of marijuana.